An idea for a new use of materials or an application for technology or an improved ergonomic design germinates through research, exploration and experimentation. These inquiries become designed outcomes for clients or commissions. Our practice stays actively connected to the critical discourse of design through the give and take of the classroom. 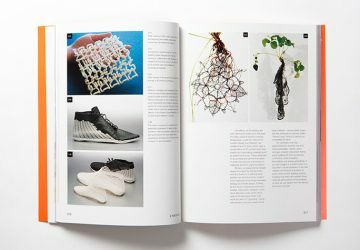 Rebeccah continues to share her experience and knowledge through published works where she explores the connections between the body, technology and materials. Are you looking for a innovative product design consultancy? Interwoven Design Group is multi-disciplinary product design and development studio specializing in wearable technology and e-textile solutions. We have over 15 years experience in creating innovative wearable products across many categories from consumer product to NASA. Our experience gives us the ability to communicate in a common language that crosses disciplines and industries. We are the bridge between the fashion industry, technical engineering, materials science and product design. As Founder and Principal of Interwoven Design Studio, Rebeccah Pailes-Friedman is a product visionary. She combines her expertise in wearable technology and smart textiles with a passion for design. A pioneering researcher in design methodologies and smart materials, her latest work includes: ReMo, a wearable guidance system that teaches movement with haptic feedback, the WithMe baby monitor, and BioWear, a kinetic accessory that communicates the wearer’s emotions. She is the author of Smart Textiles for Designers: Inventing the Future of Fabrics, released in 2016 by Laurence King Publishers, London. Rebeccah’s unique vision has been realized internationally; her clients range from start-ups to NASA. She has over 20 years of experience designing products for active sportswear, and has held positions as design director for Nike, Champion and Fila. She is also founding director of the Intelligent Materials Applied Research & Innovation Lab (IMARI) at Pratt Institute in Brooklyn, NY.